Fox recently learned that one of the FBI's senior agents responsible for counterintelligence matters, Charles H. Kable IV, is working the Clinton case, another indicator the intelligence source said that the FBI probe is “extremely serious, and the A-team is handling.” Kable, known as "Sandy," was appointed special agent in charge of the counterintelligence division at the Washington field office by Director James Comey in December. He had recently served as the chief of the counterespionage section at FBI headquarters. In that capacity, a bureau press releases says the 15-year, well-respected FBI veteran, "provided leadership and oversight to the field offices engaged in espionage, economic espionage, and insider threat investigations." While his responsibilities are not publicly known, Kable was described to Fox as "tough and no-nonsense FBI." The intelligence source said analysts and agents are exploring whether the mishandling of classified information was "intentional" and who may have benefited. 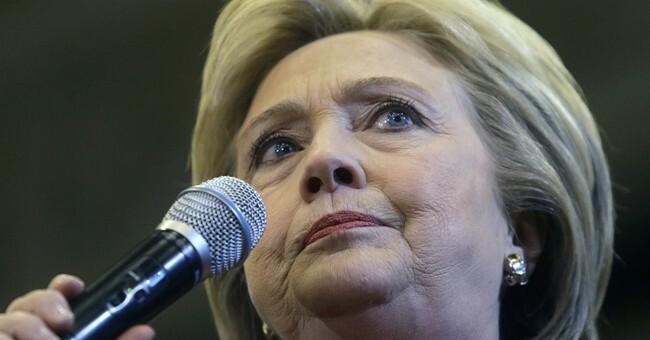 Separately, an intelligence source familiar with the two prongs of the ongoing FBI probe, stressed to Fox that the criminal and national security elements remain “inseparable.” The source, not authorized to speak on the record, characterized Clinton’s statement “as a typical Clinton diversion… and what is she going to say, “I’m 95 percent sure that I am going to get away with it?” ... A separate source told Fox, "it is no less of a violation of espionage statutes if any material was classified secret or top secret....All the statute requires is national defense information or NDI,” adding "this is way past accidental spillage…(it) is being investigated as intentional mishandling…in this kind of high profile investigation, the most damaging information takes primacy.” Investigations into the compromise of classified information include damage assessments. In the recent case of former CIA Director David Petraeus, the damage was deemed to be limited, discreet, and knowable because the highly classified information was shared with his biographer, who also had a security clearance. In Hillary Clinton's case, if the private server was compromised by a third party, the extent of the damage maybe unknowable. That's what makes Hillary's actions so much more grave than what Petraeus did -- and Petraeus was charged. Hillary Clinton operated a private, improper, unsecure email server, on which she conducted all of her official business, in violation of federal rules. Despite her claims to the contrary, that server was not set up "for convenience," and it has been revealed to have contained at least 1,600 classified emails, including dozens at the very highest levels of secrecy. Clinton's excuse that they weren't "marked at the time" is irrelevant according to the binding nondisclosure agreement she herself signed in 2009. Plus, she carried forward with her reckless scheme even after a specific and dire 2011 warning about foreign hackers attacking top US officials' private emails. Several high-level intelligence and national security officials say her emails were almost certainly penetrated by hostile governments. The FBI's criminal probe has reportedly expanded twice, examining possible obstruction of justice and public corruption angles to the scandal, in addition to its national security pillar. At Thursday's debate, Clinton said she has "100 percent confidence" that there will be no repercussions from this scandal, and that she isn't concerned about it all. In a string of lies regarding this imbroglio, that last one may be her most brazen.